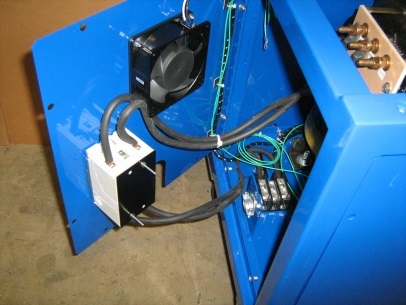 In many field welding situations simply having convenient access to 120 volt or 240 volt supply power to run auxiliary power tools such as grinders, stud guns, and drills is important. In some situations, bringing power to these locations can difficult or nearly impossible. Worse yet, short-cuts and quick fixes can compromise safety. While its not uncommon to have an available 480 or 575 volt power source, conversion to 120 or 240 volts is a challenge. Simply running extension cords can be impractical or present a safety hazard. 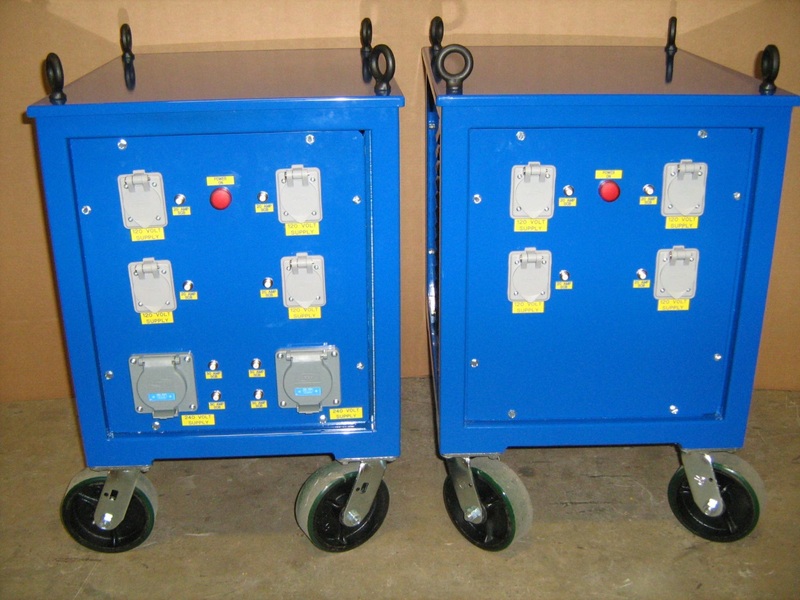 What's really needed is a portable power box, with all necessary transformers, circuit protection and safety devices built-in to conveniently convert high voltage to 120/240 volt power. A new product by Hotfoil-EHS has been developed for just this situation. Named the PAPB (short for portable auxiliary power box), the new product taps into the available high voltage feed and puts convenient, usable 120/240 volt power right at the worker's location. 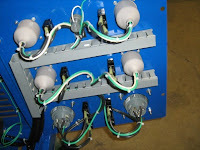 The PAPB is designed with small supplementary circuit breakers at each of the outgoing power connections for protection and ease of resetting. 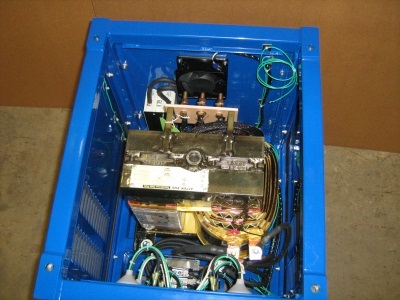 The main power supply is also protected by a main circuit breaker. Portable auxiliary power box's can be custom made and manufactured in virtually any size. The ones pictured above are relatively small; 15kVA and 30kVA. All PAPB's are made in the USA with major components being fabricated in-house. All framework, tubing, sheet metal, transformers, wiring, and assembly is done at Hotfoil-EHS's production facility in Hamilton, NJ. The units are 100% QC'd and tested prior to shipping. When the equipment leaves the factory, it is 100% ready to go to work.